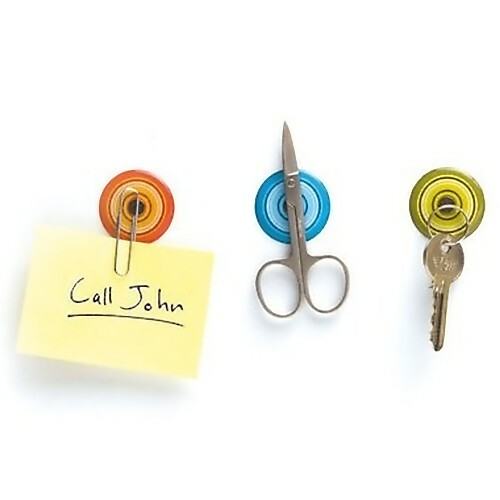 These cool magnets and creative magnet designs offer you a fun way to keep your notes to remind you of your important dates or display your favorite pictures! On/Off Magnets: Each set has 4 magnets that "turn on" and "turn off" like light switches. 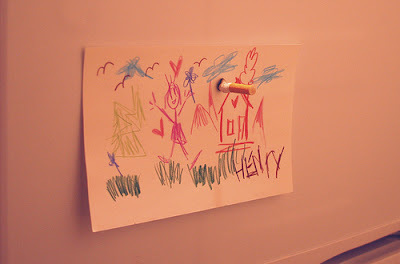 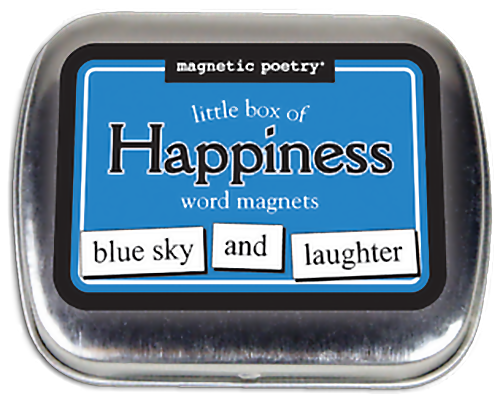 "Turn the magnet "on" to stick memos on the fridge, or turn it "off" to use a pair as a photo stand". 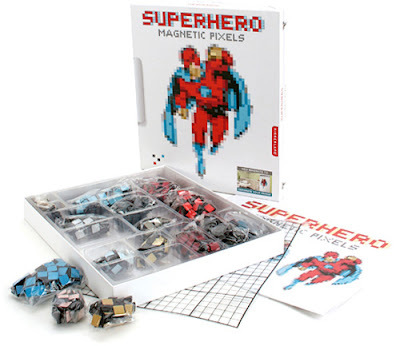 Digit Magnets: The set contains 22 blue magnets; arrange them to create words and messages in digital style letters. 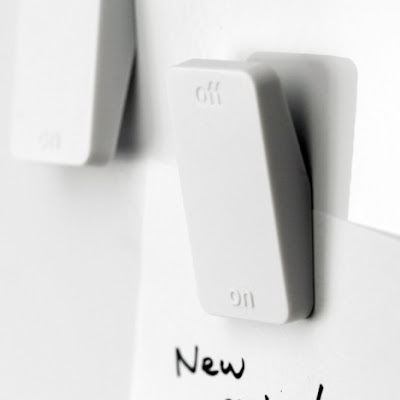 Work/Life Reminder Magnets: Cool magnets make multitasking fun. 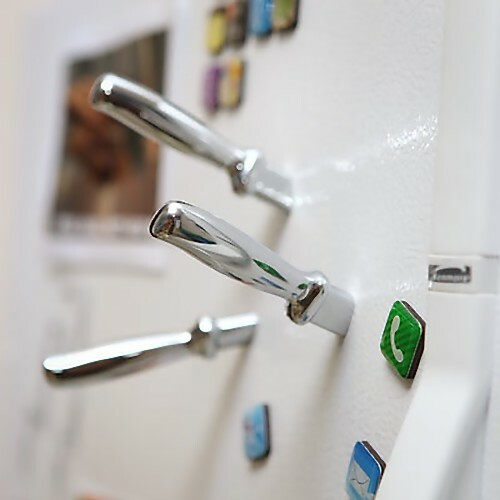 Knife Fridge Magnets: An awesome way to stick things on your fridge. 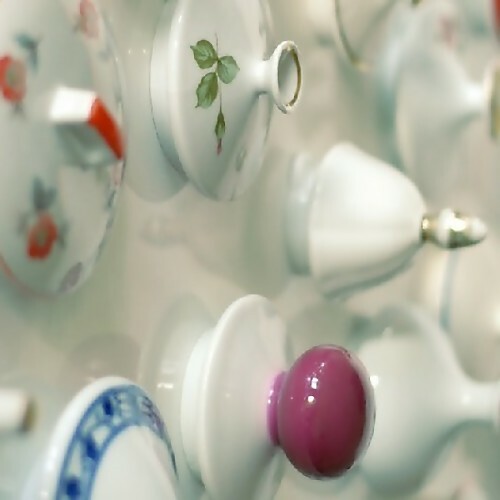 9TEA Magnetic Teapot Lids: With 9Tea magnets you can transform your old teapot lids into decorative objects to hold paper or dish towels on any metal surface. 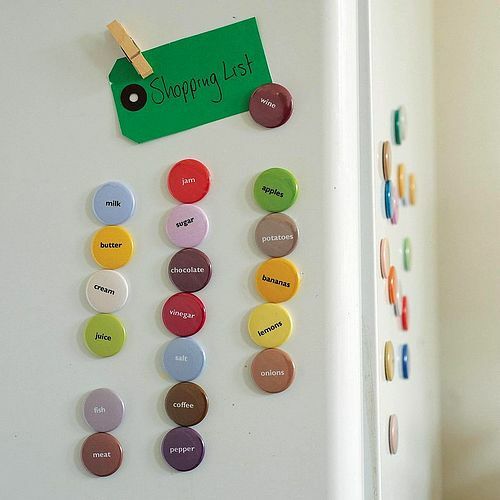 Shopping List Magnets: This set of 35 colored button fridge magnets comes printed with essential grocery items as a shopping list reminder. 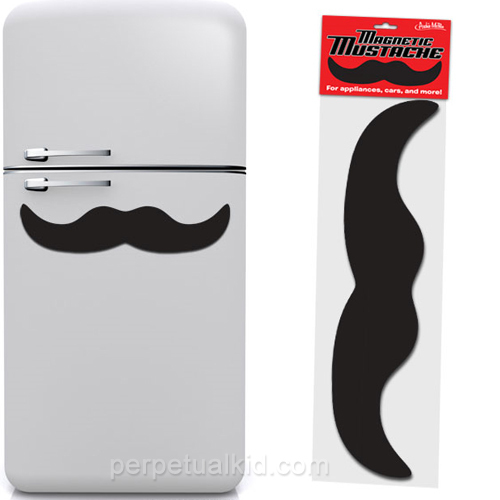 Jumbo Mustache Magnets: This cool magnetic mustache is perfect for decorating up your car, fridge or file cabinets. Fridge Magnets by Scott Amron: These cool refrigerator magnets are gentle on photos and surfaces. Magnetic Pixels: The set contains 1,400 magnets in 16 different colors to create pixelated works of art on your fridge, filing cabinets, metal doors, memo boards, etc. Magnetic Stickers: These cool colorful magnetic stickers can be used in kitchen, shower, study or anywhere else in the house or office. These are easy to apply on any surface and can be removed easily. Little Box of Happiness: Create happiest sentences with these 72 themed magnetic word tiles to put on your fridge or any steel surface. 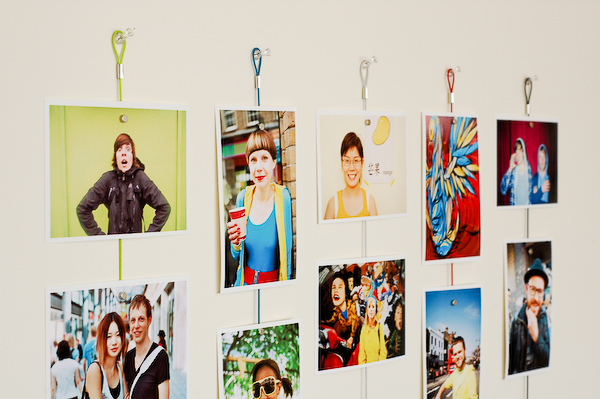 Magnetic Photo Rope: It's a 58" cable with 8 magnets that can be used to attach photos, notes, etc. 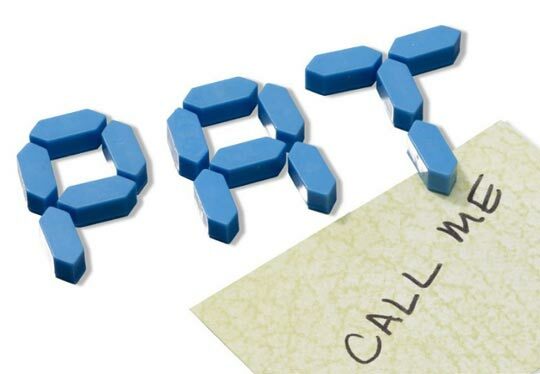 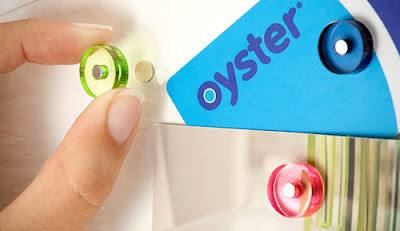 Quicktacks: With these cool and simple to stick self-adhesive back magnets, you can turn any wall into a notice board. Or simply use them on refrigerator or any other metal surface. 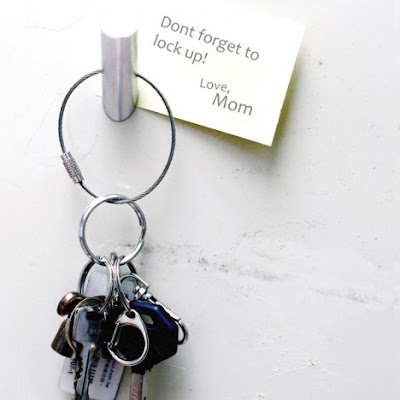 Hookeychain Magnets: Simple and functional hookeychain magnet removes your need to constantly look around for your keys at your house or office. 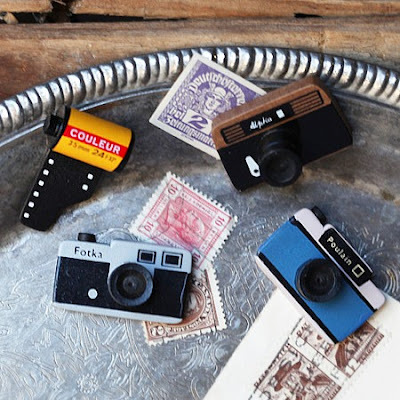 Camera and Film Magnet Set: These cute little camera and film magnets holds your pictures and notes on any metal surface..